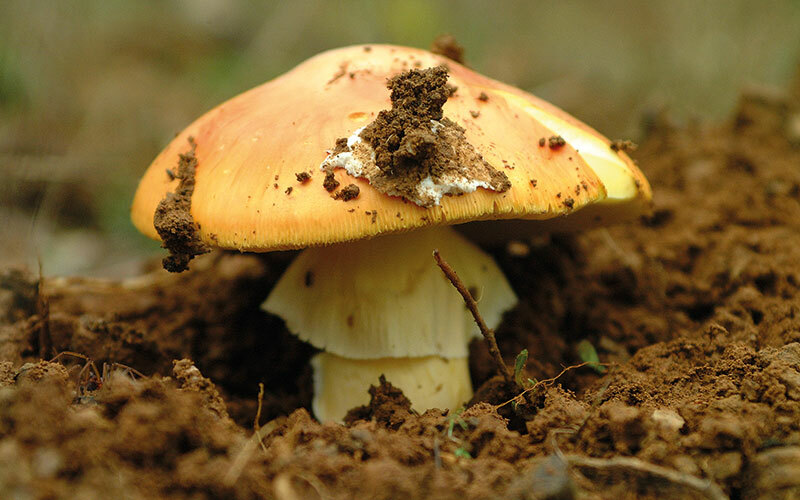 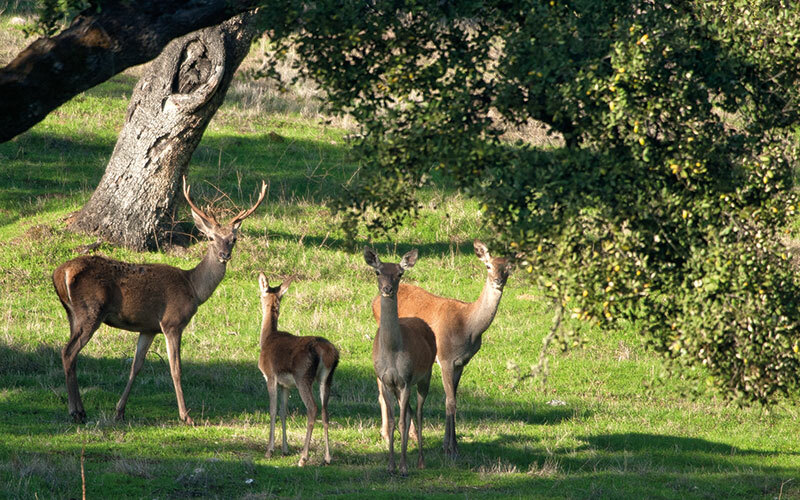 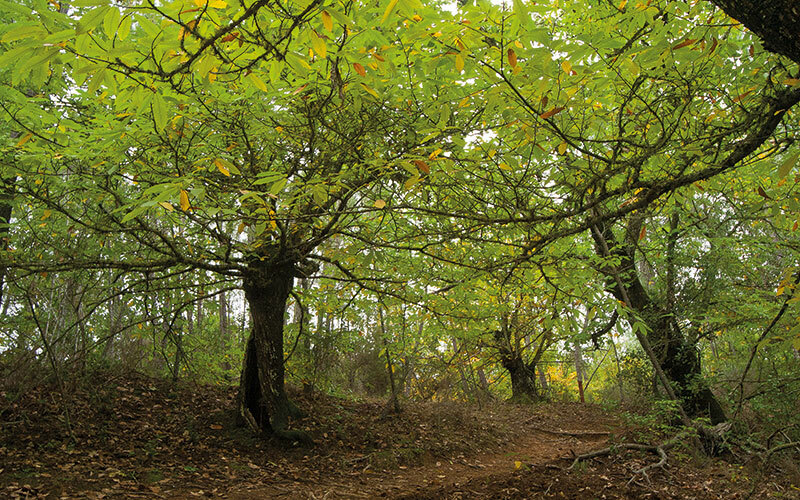 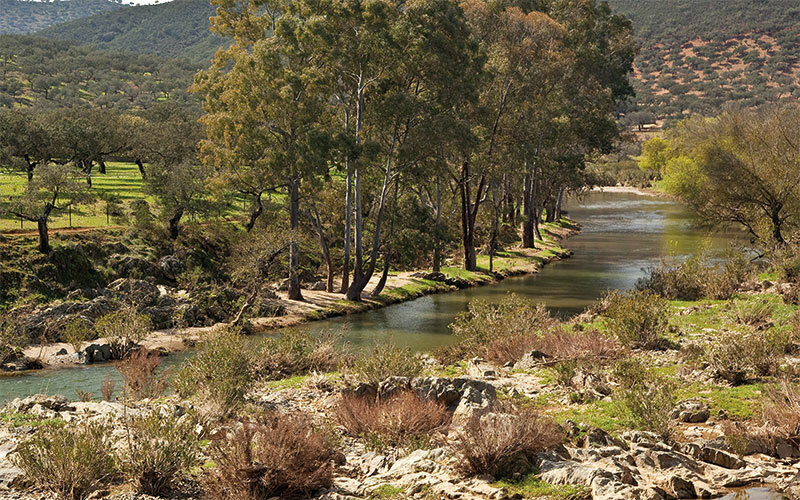 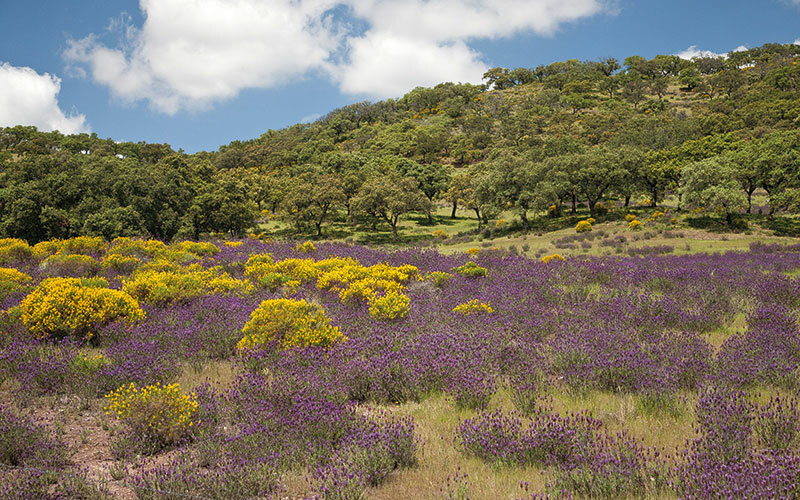 Located in the west extreme of Sierra Morena and to the North of the province of Huelva, the Sierra de Aracena y Picos de Aroche Natural Park is characterized by a large forest mass, a high rainfall, a mild climate and a natural and cultural heritage which arouses the curiosity and interest of visitors. 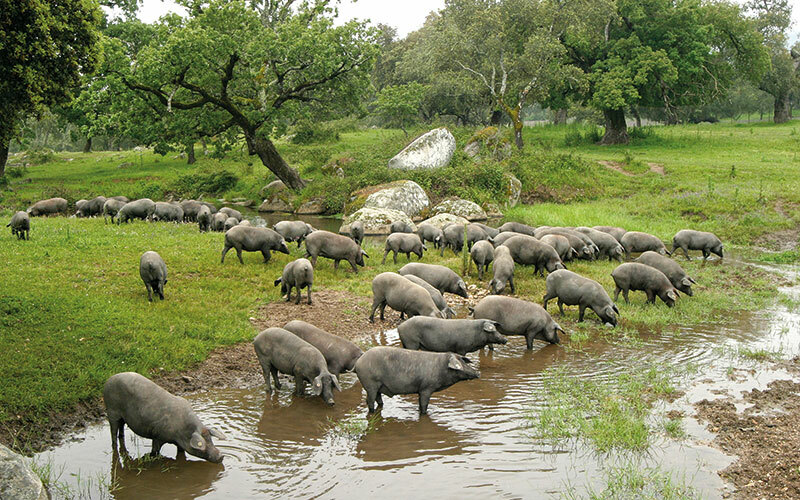 The spacious meadows that dominate this mountain environment have favoured the Iberian pig rearing, around which an industry that underpins the economy of towns like Cumbres Mayores and Jabugo ham has been risen. 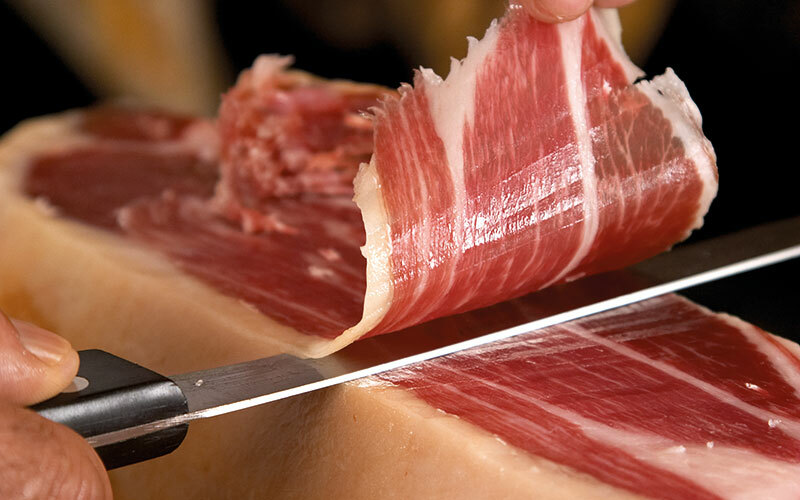 You should not leave the place without trying its delicious sausages and, of course, its denomination of origin Huelva ham. 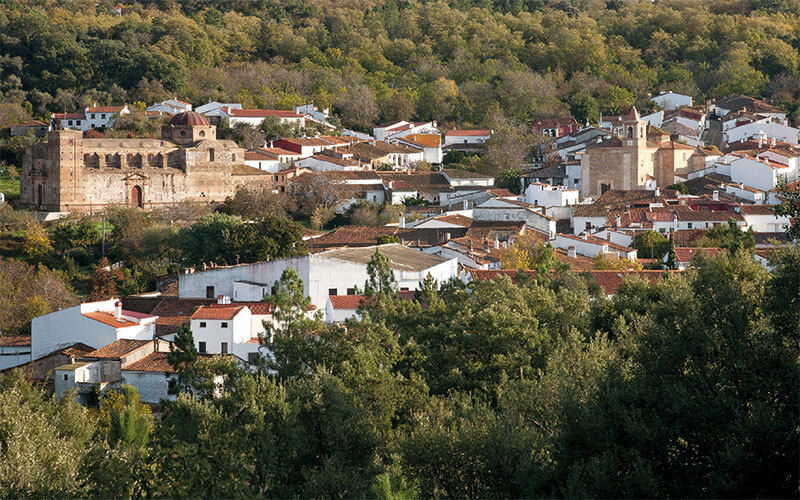 In the Museum of the Aracena ham you can learn more about the tradition cold cuts in the area.